Reading Joshua was written for anyone who wishes to engage critically one of the most, if not the most, problematic and troublesome books in the Bible. Using the best of current historical-critical studies by mainstream biblical scholars, and the most recent archaeological discoveries and theorizing, Laughlin questions both the historicity of the stories presented in the book as well as the basic theological ideology presented through these stories: namely that Yahweh ordered the indiscriminate butchery of the Canaanites. This ideology is criticized for what it is: a xenophobic and genocidal approach to the issue of how human beings should act toward one another in a multi-cultural world. Read against the backdrop of the Babylonian Exile (sixth century BCE), these stories may have served well the purpose(s) of their author(s). Thus these troubling accounts may have had their time and place, but that time and place is not the twenty-first-century world in which we now find ourselves. John C. H. Laughlin is Professor Emeritus of Religion at Averett University in Danville, Virginia. He earned a BA from Wake Forest and MDiv and PhD from the Southern Baptist Theological Seminary. A teacher for more than forty years, Laughlin specializes in the Jewish Scriptures, archaeology, and philosophy. He has served as a field supervisor for many seasons of archaeological field work in Israel, including at Tel Dan, Capernaum, Banias (Caesarea Philippi), and Kursi. 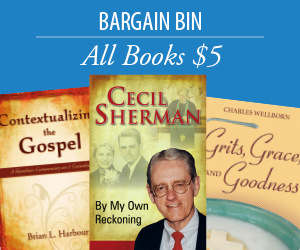 He is the author of numerous articles and book reviews, and his own books include Archaeology and the Bible and Fifty Major Cities in the Bible. 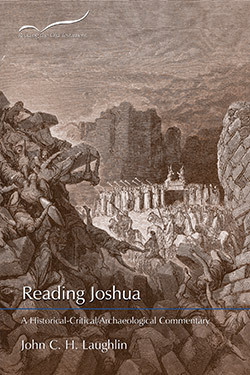 Laughlin has produced an unflinching critical commentary on the book of Joshua, basing his analysis on extensive research into the latest and best archaeological evidence. By adding a touch of “moderate” postmodernism, he provides an analysis that places this book into its own historical and ideological context—without preconceived religious notions of what Joshua is “supposed to say.” Laughlin gives us not only a critical commentary on the text, but also a critical commentary on the ideology that created the text.